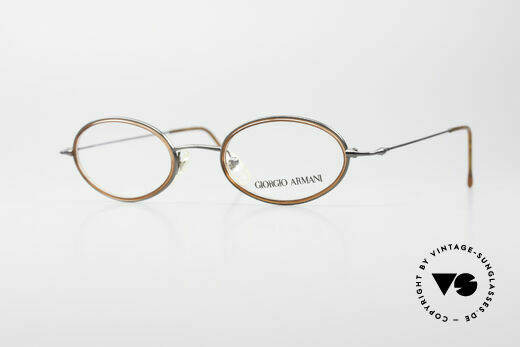 Whether small panto frames, round unisex eyewear, oval men's eyewear or frames with sun clips - you will find all these timeless shapes in the old Armani eyewear collection. 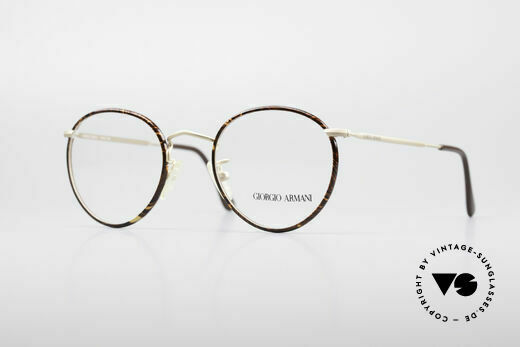 For the original Giorgio Armani eyewear is known for its simple elegance. 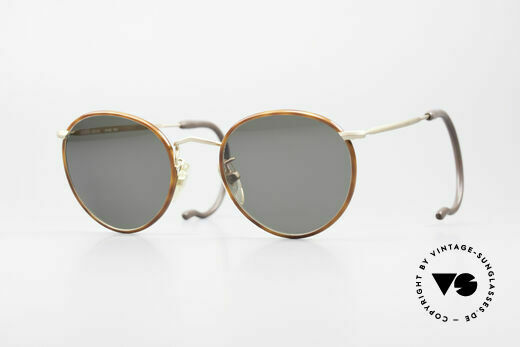 When the sometimes very purist Armani eyewear came onto the market in the early 1980s, many opticians were quite astonished by their stylistic simplicity. A number of opticians had expected more spectacular eyewear from such a renowned designer. But it is precisely these pure, minimalist designs based on well-known eyewear classics that made the Armani eyewear so successful. The Armani 229 is the best example. This model resembled a shape of glasses that existed as early as the beginning of the 19th century. The Austrian composer Franz Schubert wore simple, oval wire glasses with an X-bridge, which have been associated with the musician ever since. 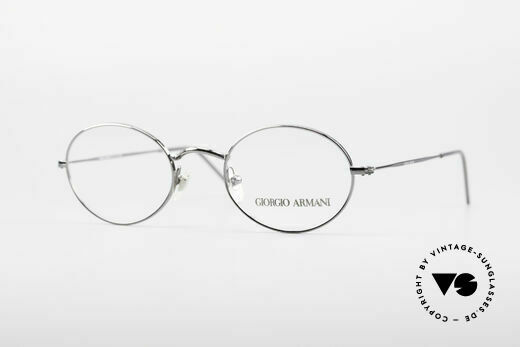 As a result, the Armani 229 eyewear quickly became known as “Armani Schubert Glasses”. With very small changes in detail and subtle colors, Giorgio Armani managed to produce truly timeless glasses and sunglasses classics. To this day, the demand for them has remained unbroken. 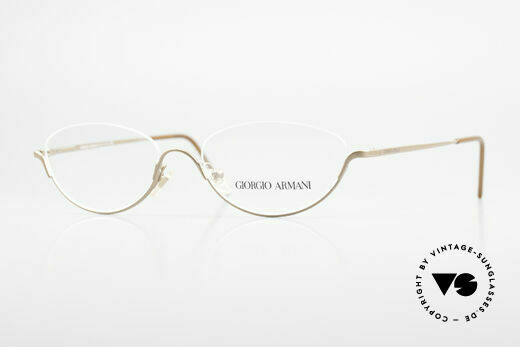 Giorgio Armani succeeded in lending a new elegance to established frame designs. 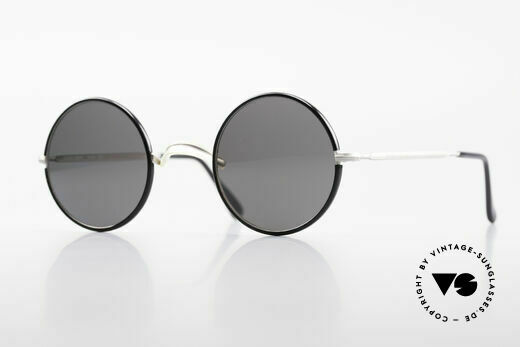 The Armani model 229, now a legendary fashion icon, is known as ‘Schubert glasses’ the world over. NO RETRO EYEWEAR, but true 1980's commodity! silver-tortoise metal frame & sun clip in "chestnut"
NO RETRO EYEGLASSES, but true 1990's commodity! NO RETRO specs, but a genuine old 80's frame! NO retro specs, but an unique 25 years old ORIGINAL! tangible premium craftsmanship; 123mm = small size! NO retro frame, but an unique 25 years old ORIGINAL! NO RETRO; a unique original in SMALL 123mm size! NO retro specs, but an unique 30 years old ORIGINAL! unisex model in distinctive "strawberry design"
timeless style ... suitable for every kind of look! terrific frame pattern in a kind of "amber - tortoise"
timeless design and coloring; with POLARIZED lenses!